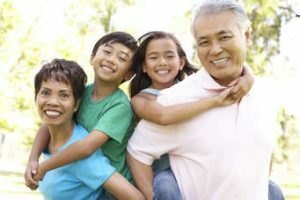 Guardianship Category Archives — DuPage County Divorce Lawyer Blog Published by Naperville Family Attorney — Kollias & Giese, P.C. In society today, how we define what makes up a family is extremely diverse. Many children today are born and raised in unmarried or single-parent households. 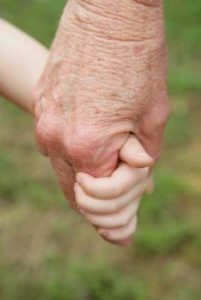 Often, extended family members, including grandparents, aunts, uncles, and adult siblings, raise and even adopt children. Courts previously made rulings and upheld laws in family cases based on what a “traditional” family looked like and to protect children who grew up in families outside that perceived norm. Who Gets “Custody” of a Child When a Parent Dies? To begin the legal analysis, the courts will imply constructive parenting time and parental responsibility in favor of the surviving parent, because it is legally presumed that the surviving parent’s right or interest in the care, custody, and control of the child is superior to that of any third person who may otherwise attempt to assert their rights to the child. Marriage of Archibald. In most child custody, adoption, and foster care placement cases, Illinois state law governs. However, Congress passed a federal law in 1978 called the Indian Child Welfare Act, also known as “ICWA,” which creates a different burden of proof and set of standards for Native American children in child custody, adoption, and foster care placement cases. ICWA sets forth the guidelines for removal of an “Indian child” from his or her Indian family, which imposes a significantly higher burden. The federal government recognized the large-scale break-up of Native American families, as Native American children were systematically being removed from their homes and placed with families who had no connection to the particular Native American culture. Essentially, Congress passed this law to protect the culture and family unit of Native Americans, setting a higher burden for removal of Native American children from their families. ICWA also has a jurisdictional component such that if ICWA applies to a case, it may be transferred out of the state court and into tribal courts. The tribal courts are perceived as a preferable venue for Indian families determined to combat the removal of children. Finally, ICWA allows for the appointment of an attorney for the Native American parent, something not typically provided for in custody cases, aside from juvenile abuse and neglect proceedings. Can a Person File for Divorce on Behalf of Another in Illinois? Imagine this scenario: In 2004, your elderly father, Howard, decided to marry for a fourth time. He married a then-22 year old woman named Anna. In 2014, after ten years of marriage, Howard decides he has had enough of Anna’s hard-partying ways and files for divorce. He also thinks she may have married him just for his money. Despite being a billionaire, Howard decides to represent himself in the divorce. While the case is pending, Howard suffers from a debilitating brain aneurism that has affected his ability to speak, communicate, to get out of bed, and needless to say, to act as his own attorney or make decisions on his behalf. You are named as his power of attorney and decide to seek guardianship over him as a “disabled adult” to make decisions on his behalf. As his guardian, are you then able to continue with the divorce proceedings on his behalf? Can you obtain an attorney to represent you as the guardian taking the place of Howard? The answer is, at least ever since 2012, a clear “yes” and here’s why. Before 2012, Illinois case law was clear that a third-party individual could not file for divorce on behalf of someone else in any circumstance, nor could that party continue divorce litigation for that person. In the 1986 case of Marriage of Drews, the Illinois Supreme Court held that a guardian did not have standing to file a divorce proceeding on behalf of the ward. In Drews, the husband was injured so severely that he was permanently mentally and physically disabled. After the accident, his mother was appointed as guardian of his estate and person. In that capacity, the mother filed for divorce on behalf of the husband. The Court held that absent specific statutory authorization, a guardian cannot institute an action for the dissolution of the ward’s marriage on behalf of the ward. It supported this conclusion by stating that the Probate Act, which did allow a guardian to represent the ward in legal proceedings, limited this ability to matters related only to the estate, rather than the ward’s person.